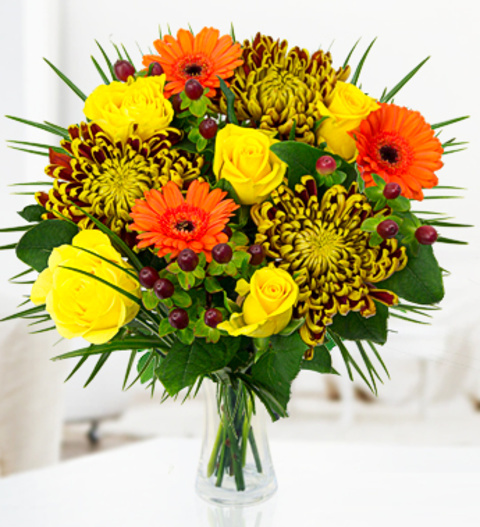 Available for UK next day delivery is the Nairobi Dusk bouquet. An extravagant handtied arrangement with beautiful roses, germini and chrysanthemum blossoms complimented with African palm leaf and Hypericum. This arrangement is perfect for all occasions and is sure to delight. The Nairobi Dusk Bouquet is expertly arranged by our talented florists and comes with a FREE box of Belgian chocolates. Chocolates may contain nuts.